Presents concerts and events at various venues in the region. The site provides calendar, history, volunteer opportunities, travel directions, etc. Squam Lake has it all and it is not hard to find. Only two hours from Boston and just over an hour from the Manchester-Boston Regional Airport. Join us at any time of the year to relax, play, exercise and enjoy all that the area has to offer. Enjoy your next night on the town in a funky, 1920’s era theater. The Flying Monkey proudly presents a wide variety of shows including movies, live music, theater , nd dance. You can also enjoy food and beverage courtesy of the Common Man family restaurants. On the shores of beautiful Lake Winnipesaukee in Gilford, New Hampshire, started as a vision on a grass field on a tree farm and has since evolved into northern New England’s premier summer concert venue. An entertainment and events guide that gives visitors in the Lakes Region of New Hampshire the most up-to-date information on attractions and more. Non-profit educational institution. Information on programs and exhibits, events, membership, volunteer opportunities, and day camps; hours, rates can be found on their website. 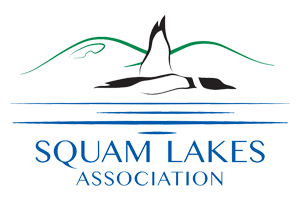 Conserving for public benefit the natural beauty, peaceful character and resources of the Squam Lakes watershed.